Do I need to plug it in? Where do I install my Buoy? What are the WiFi requirements? How do I charge Buoy’s battery? How do I shut off my water directly from the Buoy device? 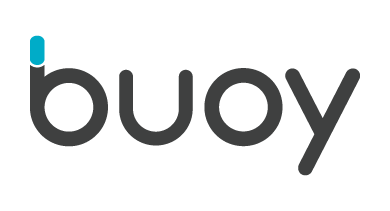 What is Buoy and what does it do? I rebooted my Buoy device. Will it have to re-learn my usage patterns? Does the Buoy have an Ethernet port if I don't have WiFi access near the Buoy? Buoy is usually installed right next to your home's water main shutoff, which is often next to your front door or in your basement. It will be easily accessible, and there's usually a red handle or a pressure regulator on it so it's easy to spot. But Buoy can be installed anywhere along your water main line, as long as it is after the city's meter and before your plumbing branches throughout your house. Buoy ships ready to install on a straight run of 13" of pipe, but it can fit into 4" of pipe space with our waterhorn accessory. If you're not sure what you need, your installer can advise you.